The aim of this short term scientific mission was to establish a collaboration combining complementary expertise and techniques in imaging techniques. 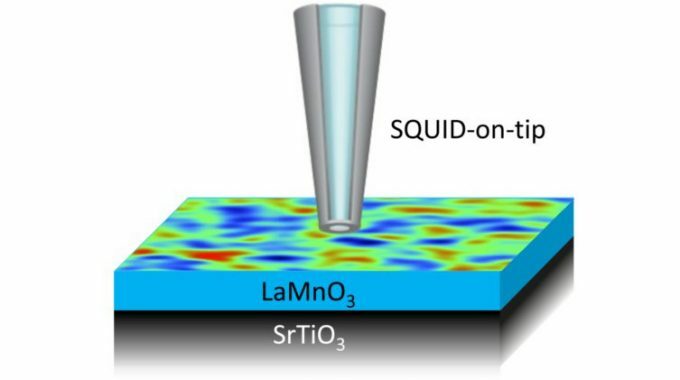 Madrid is known for their expertise in STM, STS and material synthesis, and the team of Dr. Yonathan Anahory is one of the few scientists that masters the SOT technique and is setting up a new group in Hebrew University of Jerusalem. Our first project has been to look at vortices in the superconductor -Bi2Pd using both SOT and STM. We have obtained many results previously, during the postdoc of Anahory in the group of Zeldov at Weizmann. One purpose of the visit has been to advance in writing the corresponding publication. We have observed in -Bi2Pd strong vortex clustering at low magnetic fields. Using SOT and STM we have characterized intervortex distances and the magnetic size of vortices in a large range of magnetic fields. Furthermore, this material is suspected to have a non-trivial topological superconducting phase. We have been discussing on how to use the SOT and STM techniques to unveil non-trivial vortex properties and look for signatures of topologically non-trivial phase. One option is to use a hybrid structure consisting of a graphene sheet on -Bi2Pd. The group in Madrid has been depositing successfully graphene on this material and there are a few promising results, indicating that novel behavior can be favored by the presence of graphene. To confirm this point, it will be useful to perform SOT measurements and determine the penetration depth accurately. We have also discussed further long-term collaborations, in particular to be able to measure thin samples and control their electronic properties with a gate. We strongly believe that this project will be the first of many other projects that involves novel superconductors and hybrid structures. We have considerably advanced in our understanding of vortex clustering and its relationship to previous theoretical work. In particular, we have considered, together with theory colleagues, that the presence of a plane that is semi-transparent or fully opaque to Cooper pairs can cause an attraction force to that plane1,2. We are now working to incorporate this idea in the available draft and publish the results soon.